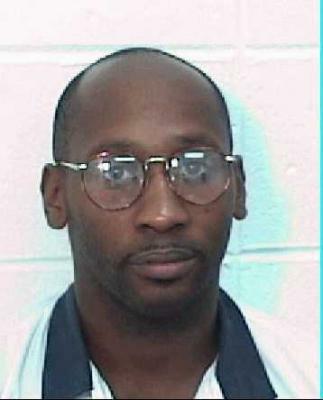 Georgia sets Sept. 21 execution date for Troy Davis | Fight Back! On Sept. 21 at 7:00 p.m., the State of Georgia Department of Corrections is planning to execute Troy Davis by lethal injection. A broad movement has stepped into high gear to stop this injustice from happening, with a global day of solidarity protests planned for Sept. 16. Protests will take place across the U.S. and around the world to demand that the Georgia State Board of Pardon and Parole stop the execution by granting Davis clemency. Davis’s family is also asking people to sign the online petition to the Board of Pardons and Parole. Over 200,000 people have signed the petition in a matter of days. Troy Davis was given the death penalty in 1991 for the murder of an off-duty police officer. He has always maintained he is innocent and that he was the victim of false identification. Since his conviction, the evidence his conviction was based on has largely fallen apart. Seven of nine eyewitnesses have recanted or contradicted their trial testimony, the ballistic evidence was later withdrawn and new witnesses have identified a different shooter. Despite this, at every step in the legal process Davis’ appeals have been turned down. The legal process is sharply tilted against reversing a conviction, even if the evidence the conviction was based on has later been discredited. Usually courts only allow procedural issues to be raised to challenge a conviction, not new evidence. Due to the strong pressure organized by the movement to defend Troy Davis, the U.S. Supreme Court took the highly unusual move in August 2009 of ordering an evidentiary hearing, which allowed Davis to present new evidence of his innocence. At the June 2010 hearing, four witnesses recanted their original testimony, saying their testimony implicating Davis was coerced by the police. Three other witnesses said another man, Sylvester Coles, was the actual shooter. But this evidence wasn’t enough because of the way the U.S. legal system works. Normally in a trial, the prosecution has to prove guilt beyond a reasonable doubt. But in this evidentiary hearing about an already existing conviction, the burden was the opposite - Davis’s defense had to not just raise reasonable doubt of guilt, but to prove innocence beyond a reasonable doubt. The judge in the hearing admitted that the evidence presented did cast some “additional, minimal doubt” but did not consider this enough to reverse the conviction and death sentence. In March of this year the Supreme Court refused to consider Davis’s final appeal. Davis has had four execution dates set in the past, but the previous ones were postponed by appeals. Now there are no more chances for Davis to appeal. The last option is for Georgia’s State Board of Pardons and Parole to grant Troy Davis clemency. They are set to meet on Monday, Sept. 19, just two days before his scheduled execution. They would have to vote by majority to grant Davis clemency. The Board has more leeway to stop the execution than the courts have, since they can consider things other than procedural questions. They can take into account that witnesses have recanted and new witnesses have come forward. Davis has been denied clemency before, but there are new members on the Board now, and new witness testimony since the last time the Board considered Davis’s case. The movement is demanding that the Board of Pardons and Parole grant clemency to Troy Davis. This would stop his execution, which would be a huge victory. But clemency would not reverse his conviction for a crime he continues to maintain he is innocent of, it would most likely convert his sentence to life in prison. But averting his unjust execution will allow the struggle to reverse his conviction to continue. There is a day of global solidarity on Friday, Sept. 16, just three days before the Georgia Board of Parole and Pardons meets to consider clemency. Check here for the protest nearest you and click here to sign the online petition.